This page is actively under construction and will soon be alive. Meanwhile, a small bio: I come from Kenya and more specifically Eldoret some 400 kms out of Nairobi, where the those world beating marathon athletes come from. 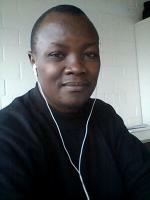 I Lecture at Moi University in the School of Information Sciences, since 2004. Currently, Am a PhD scholar working under Prof. Bernard Manderick at the Artificial Intelligence (AI) Lab. The preferred title of my research area is: Adaptive markov Chain Monte Carlo(AMCMC) in Machine Learning Applications. Details of this work and more will be available soon! !